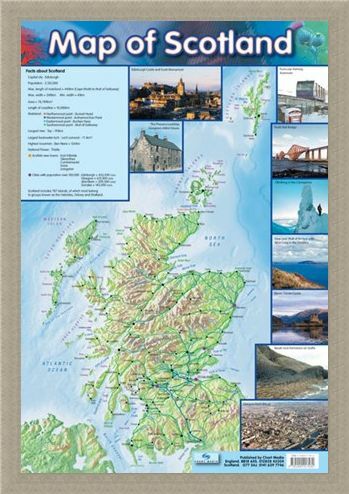 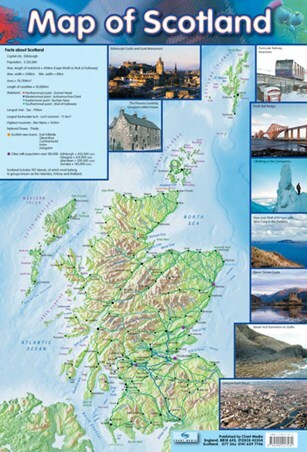 Map Of Scotland Mini Poster: Whether you're planning a trip to bonnie Scotland or you just want to brush up on you knowledge of this picturesque country, you can find all you need right here. 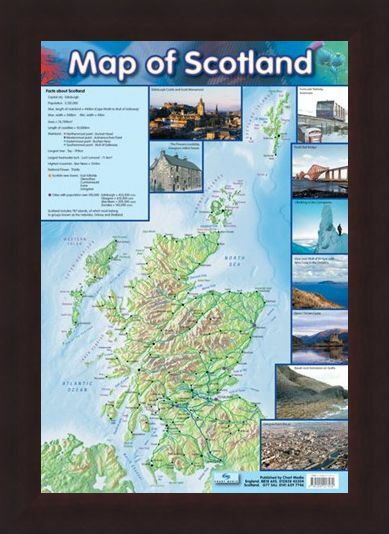 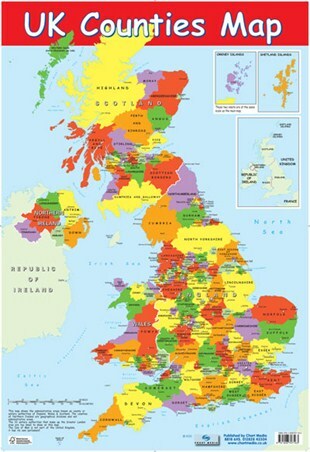 The main map of Scotland shows all the main roads, towns, cities, mountains, airports and places of interest. 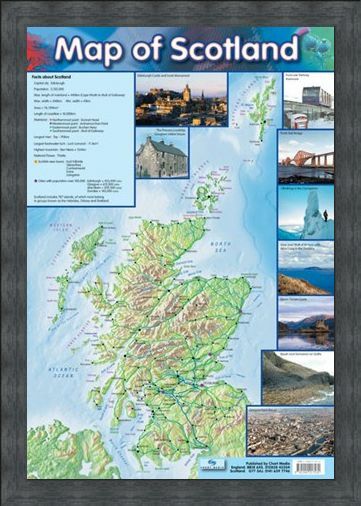 There is also a key to show Scottish new towns as well as the cities that have a population over 100,000. Above the key you can find facts about Scotland such as it's longest river, national flower and the length of the coastline. Around the central map are a selection of beautiful photographs of some of the main interest points in Scotland including Edinburgh Castle, Eileen Donan Castle and the stunning view over Mull of Kintyre. 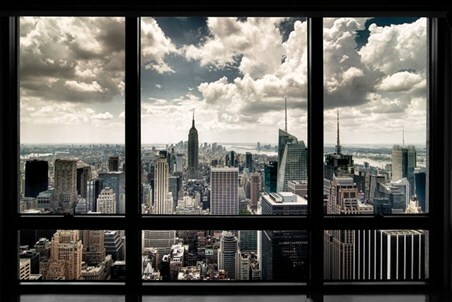 Why not treat yourself to this beautiful glossy poster and maybe a tartan kilt for your trip. 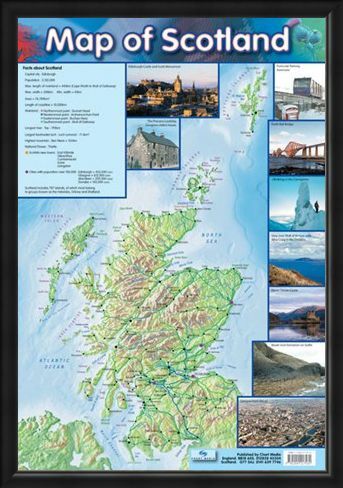 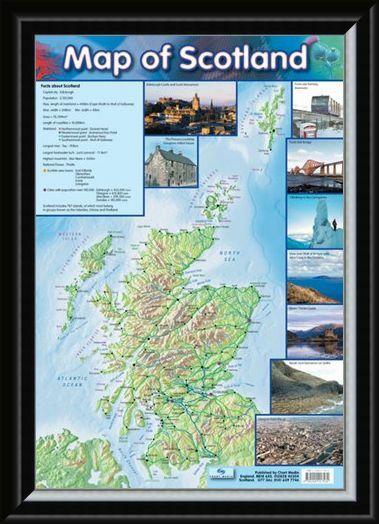 High quality, framed Map Of Scotland, Travel Companion mini poster with a bespoke frame by our custom framing service.